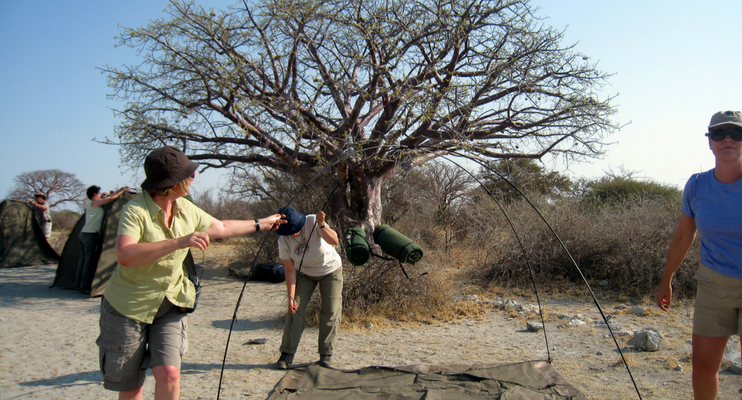 Wildlife, culture and stunning landscapes, this Namibia & Botswana African Safari has it all! Heading out of Livingstone we cross at Sesheke into the Caprivi, a narrow strip of Namibian land that extends between Angola, Zambia and Botswana. 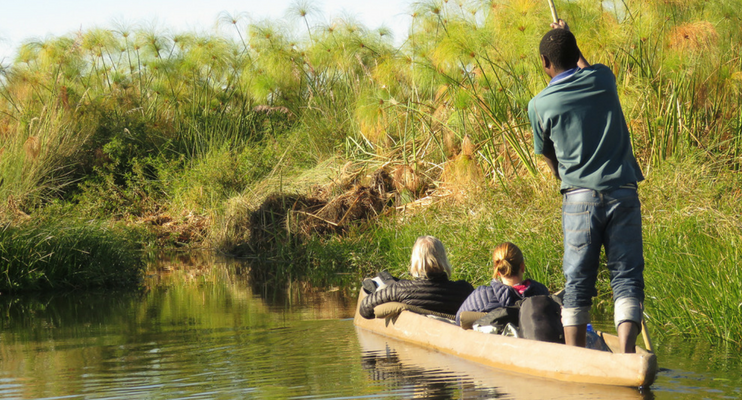 An abundance of large rivers attracts a variety of animals and birds and we have 2 days to explore this remote and beautiful region, including a boat cruise on the Kwando River. After a morning enjoying the abundant birdlife that surrounds the camp, the road takes us directly west along the Kavango River. Villages of grass huts and local wooden crafts and carvings are a common sight. 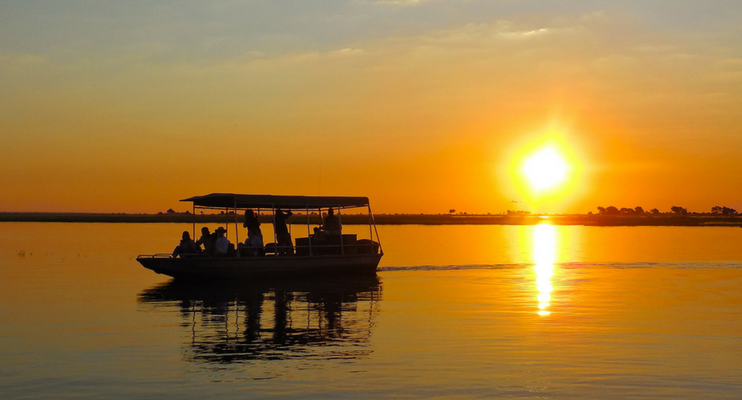 We stop for the night at our riverside camp in Rundu and enjoy a spectacular sunset. Etosha National Park, “the great white place of dry water”, in the game rich north west corner of Namibia offers a variety of wildlife. 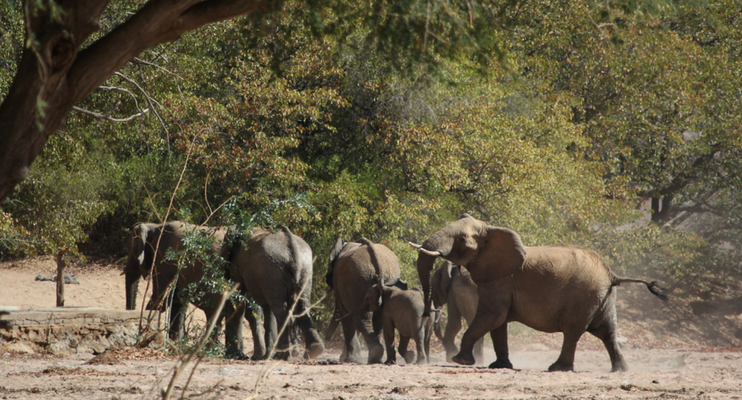 We take game drives around the huge dry pan to find the elephants, herds of antelope and lions around the waterholes before we camp at Namutoni, Halali or Okaukuejo with their flood-lit waterholes. We cross flat open plains to the coast where we visit the Cape Cross seal colony. Further south is the coastal town of Swakopmund. Day free to explore the town or try dune boarding or sea kayaking (own expense). We enjoy evening restaurant meals (own expense). The Lunar landscapes surround the town of Swakopmund and we visit these as we leave and head into the Namib Desert with its towering red sand dunes. 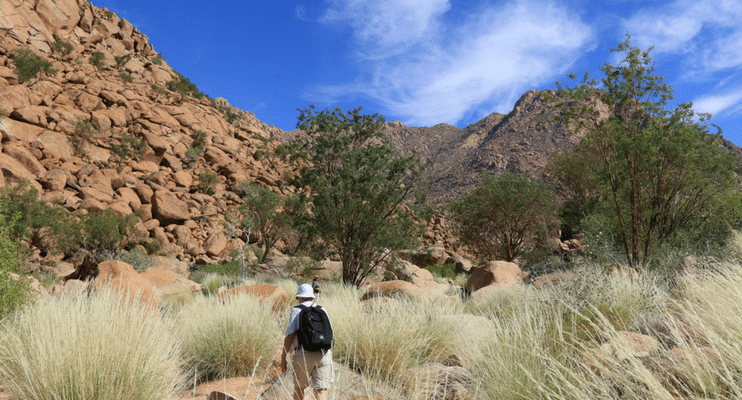 We will walk to Sossusvlei, explore Sesriem Canyon and watch dramatic sunsets over the world’s highest sand dunes. 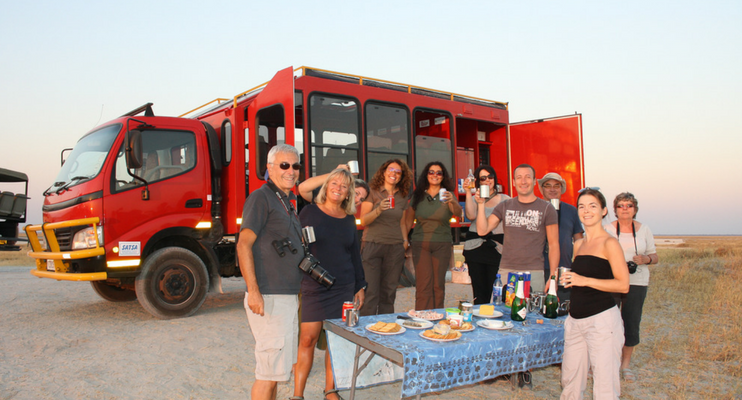 We camp in Maun for a night in preparation before journeying deep into the Okavango Delta on mekoro (dugouts) – an experience not to be missed. 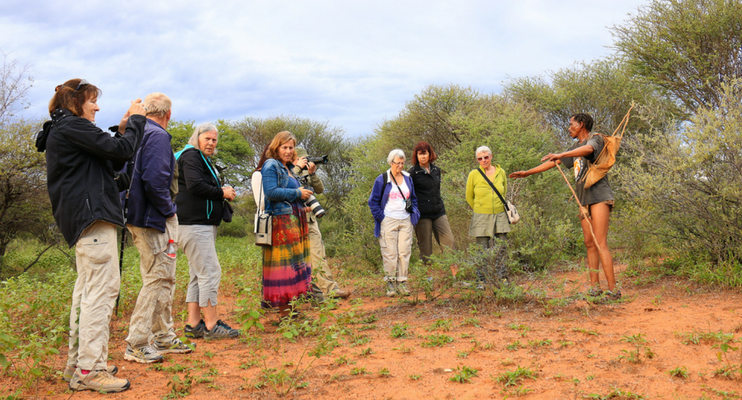 We camp wild on remote islands for 2 nights and enjoy bush walks, swimming and the birdlife in this pristine wilderness area. Feel the vastness of Africa under a big sky sunset. Depending on the season, the pans can either be a shimmering haze of dust or a vast shallow lake. We turn north through the Chobe Forest Reserve to Kasane where we set up camp. 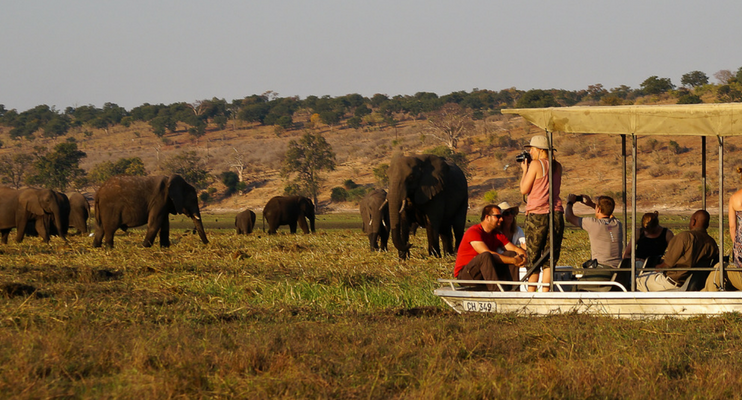 Chobe NP is famous for large herds of elephant and buffalo. 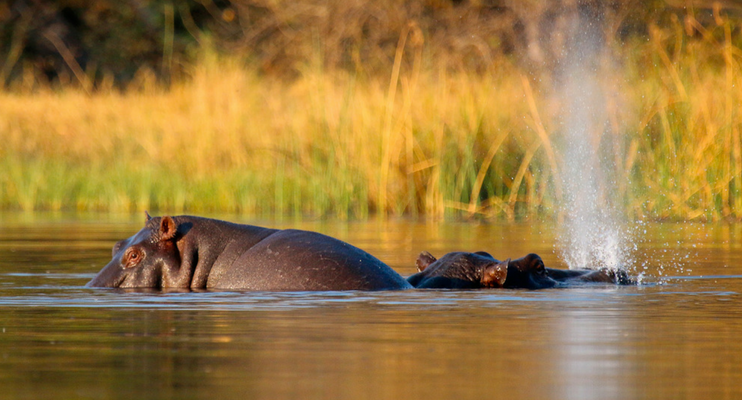 Our afternoon is spent on an exciting wildlife boat cruise in the Chobe NP. 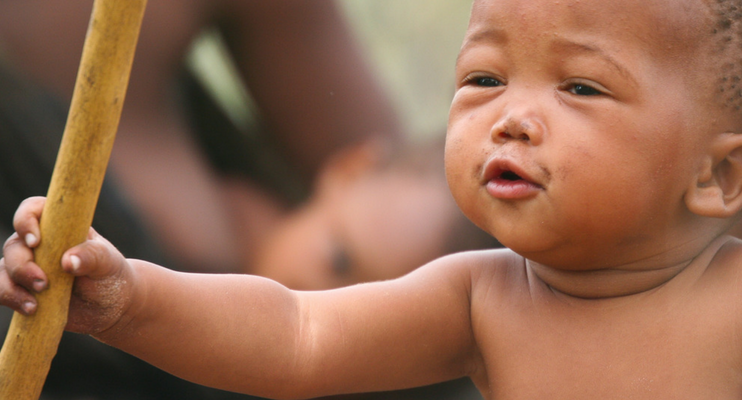 This morning we transfer to Livingstone where the tour ends at +/- 12:00 noon at Livingstone Airport (LVI). 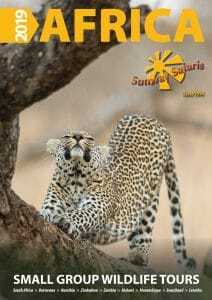 Try the 15 day Namibia Desert & Caprivi or the Namibia Botswana Southern Circle for an accommodated version. 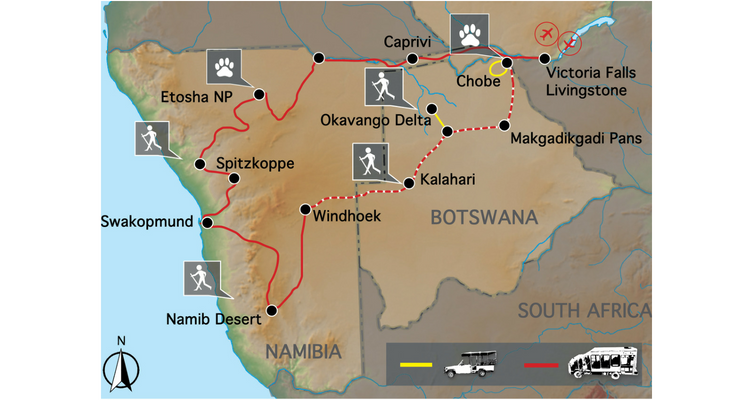 NB15 – Nambia Desert & Caprivi – ends on Day 15 in Windhoek for a 15 day tour of Namibia.